Stephen Curry may become MVP of Madison Ave.
Game 7 of the NBA's Western Conference Finals delivered in both action and viewership. The Golden State Warriors 96-88 victory over the Oklahoma City Thunder brought in an average viewership of 15.9 million for TNT on Monday night. The highly anticipated win or go home match up between Steph Curry's Warriors and Kevin Durant's Thunder was cable's most watched NBA telecast of all time. It was also the the most watched program in the history of TNT. The game peaked at 19.8 million viewers from 11:15 p.m. to 11:30 p.m. as the Warriors wrapped up the win. Game 7 brought in big viewership in both the Bay Area and Oklahoma City where roughly 30% of the homes were watching the game. TNT's NBA postgame show, "Inside the NBA," even saw big ratings bringing in an overnight rating of 4.8, the highest overnight rating for the show ever. Overall, the game and the post game delivered the two top rated programs of the night across both cable and broadcast TV. TNT, like CNN, is owned by Time Warner (TWX). The Golden State Warriors and Oklahoma City Thunder game 7 brought big action and big viewership to TNT. 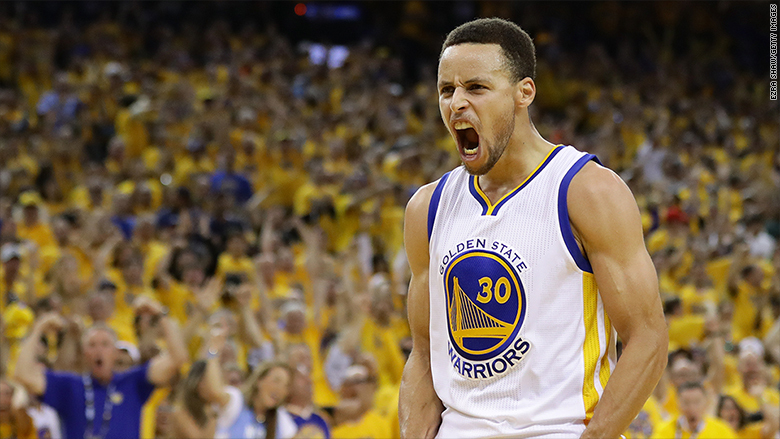 Golden State's win now sets up what could be a blockbuster NBA Finals for ABC. The Warriors will be taking on LeBron James and the Cleveland Cavaliers on Thursday night. This pits the two biggest stars in the NBA (if not the entire sports world) in a rematch of last year's heavily watched Finals. 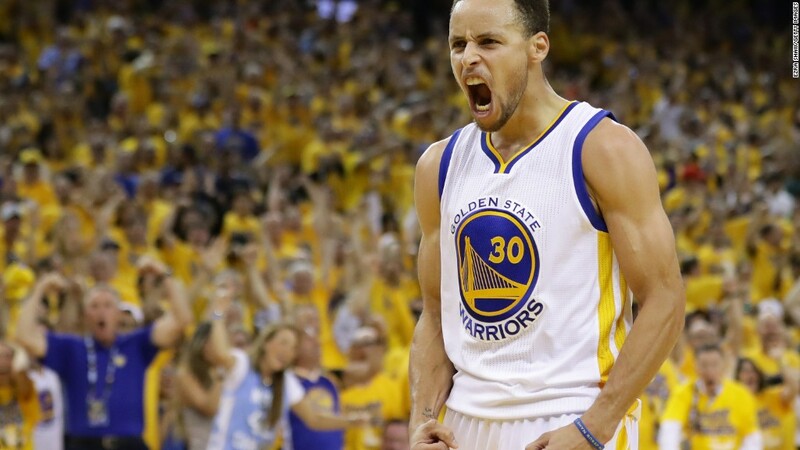 The six games of the 2015 NBA Finals averaged 19.9 million viewers for ABC. This was the most watched NBA Finals for the network since it started airing it in 2003. It was also the most watched Finals since 1998 when Michael Jordan's Bulls defeated the Utah Jazz. With attention surrounding James' attempt to end Cleveland's championship drought and the Warriors coming off a historic 73 win season, this year's number could easily top last year's.